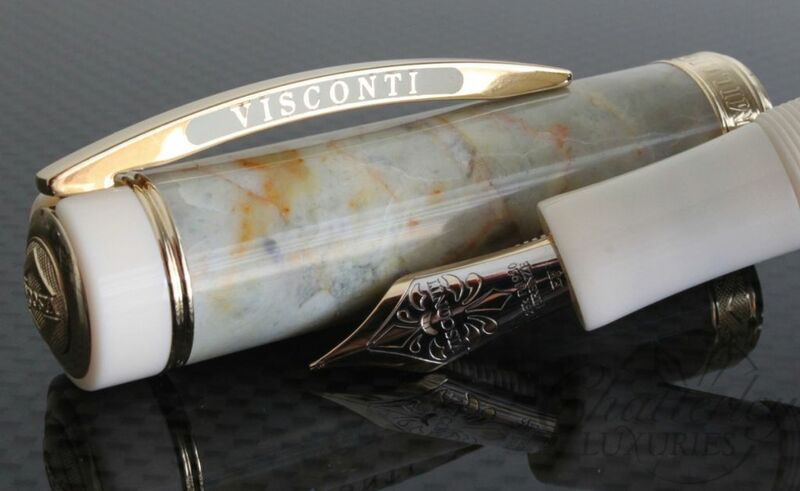 Visconti conceived the Homo-sapiens range of writing instruments for real writers, for those to whom the fountain pen continues to represent an essential traveling companion, a daily friend to share the same civilization that writing helped create. The pen is made from a material that is as antique as the world around us: lava from the Etna volcano. Lava has many characteristics that make it very unique in the manufacturing of writing instruments. Visconti has successfully produced a material containing over 50% pure basaltic lava, catalyzed together with resin in a formula that is patented and obviously kept secret. The extraordinary characteristics of basaltic lava practically transform it into a material perfectly fit to writing instruments. Unquestionably new in the range of materials employed in the making of pens. Visconti celebrates the steel age and adds a new finish to the popular Homo Sapiens pen collection. Bronze trims have been replaced with stainless marine steel trims, silver in color the trim adds a new dimension to the pen. Steel is an alloy that consists mostly of iron and has a carbon content between 0.2% and 2.1% by weight. It is a material that defines mankind’s economic evolution and the advancement in production processes and technologies. 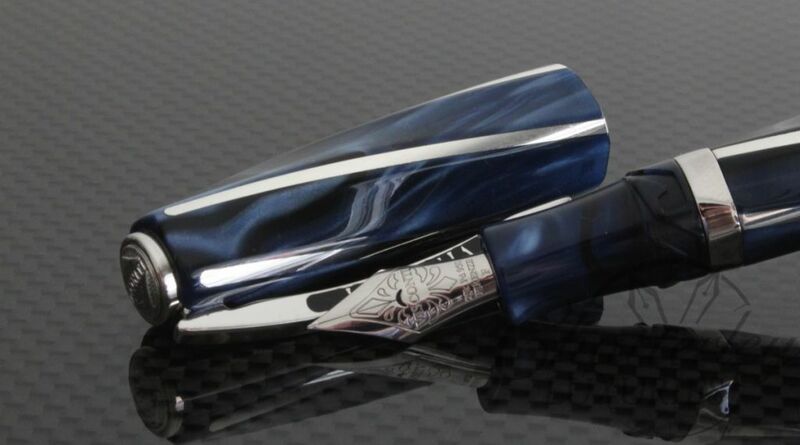 As before the trims have been combined with Visconti lava to produce a unique writing instrument with incredible properties.